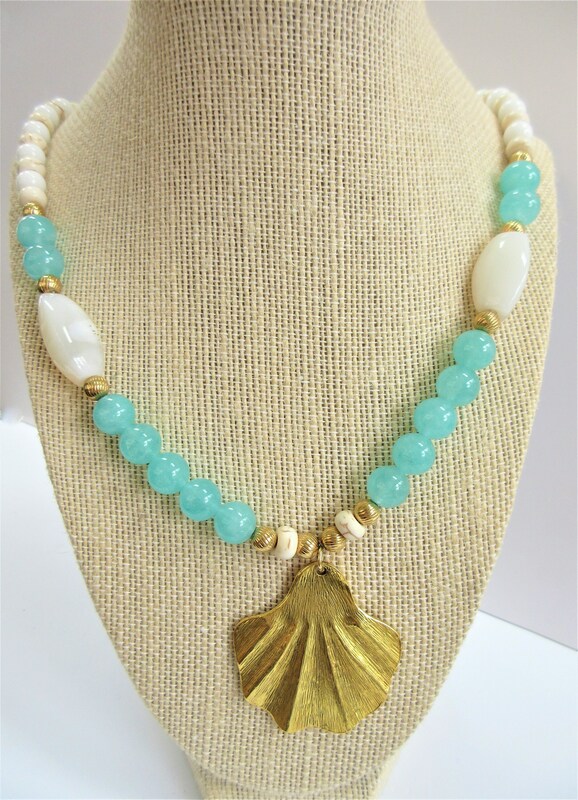 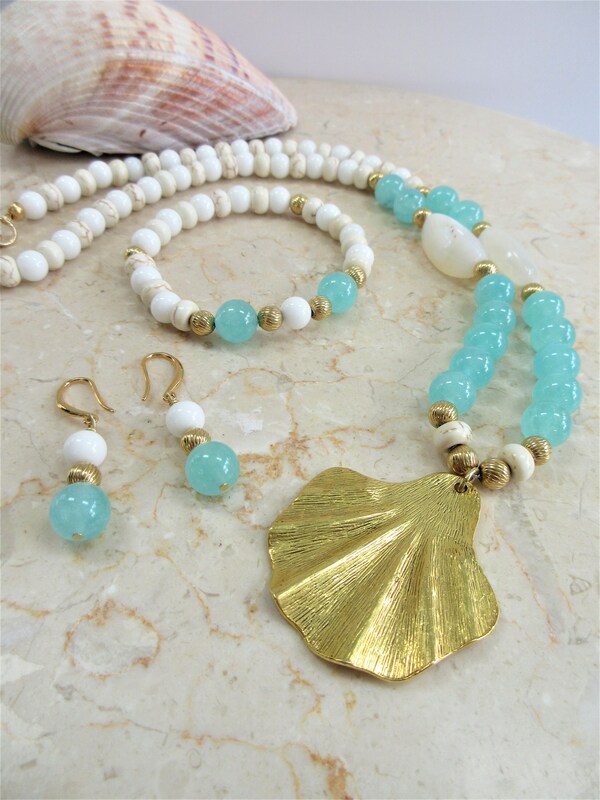 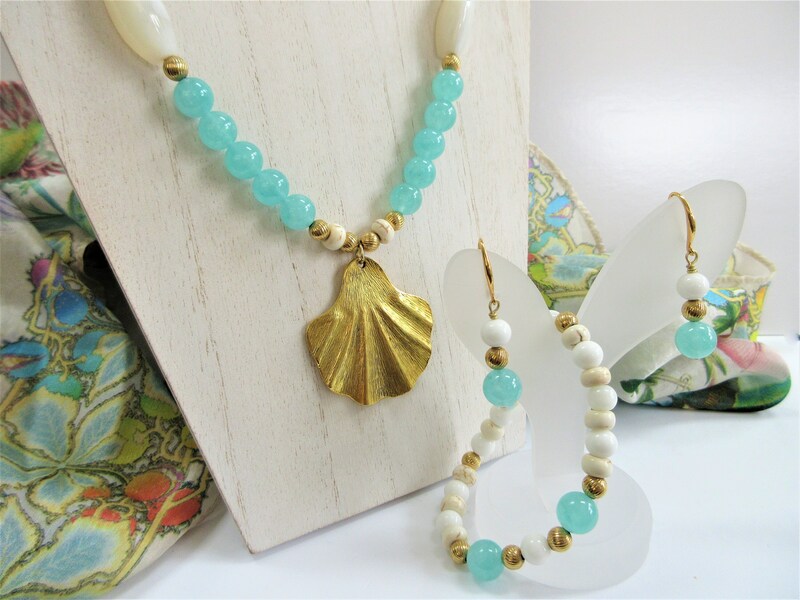 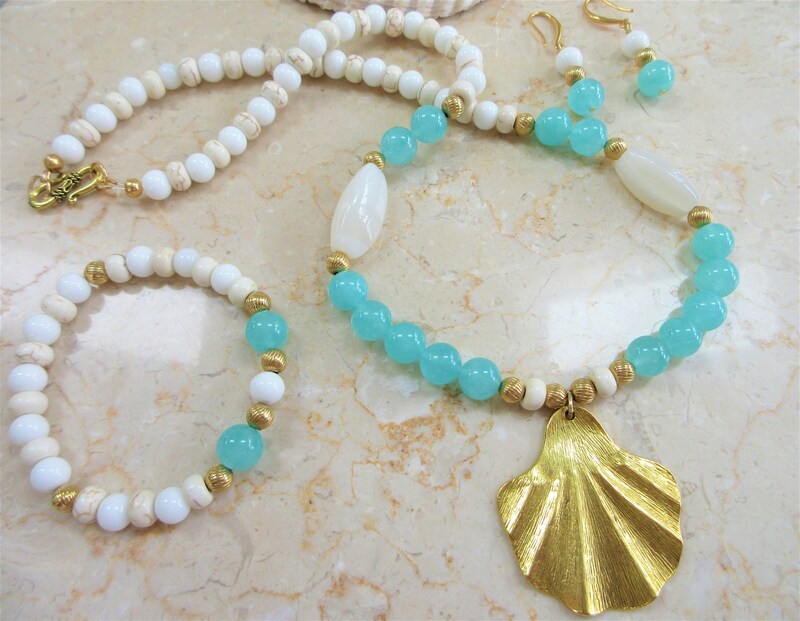 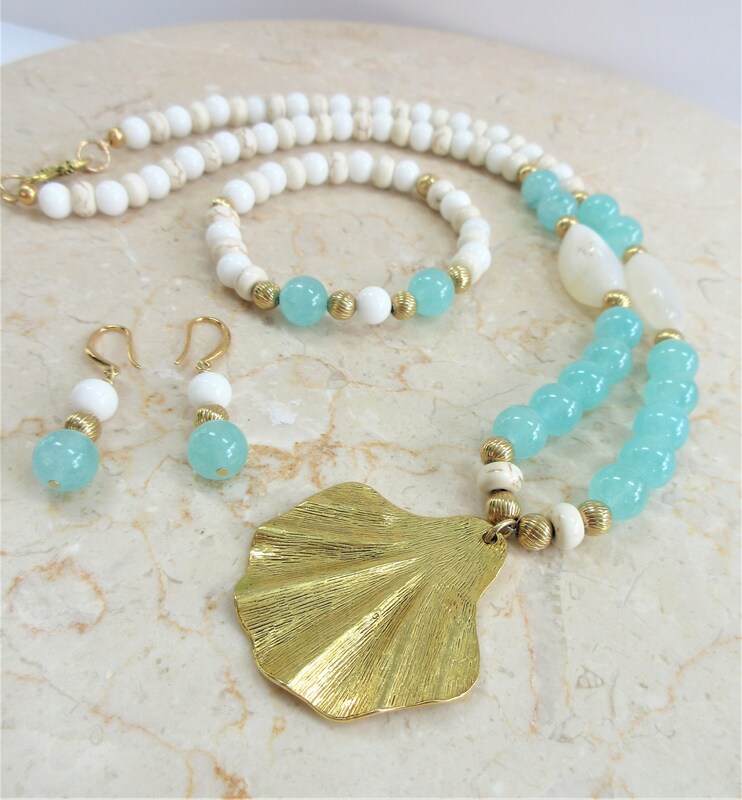 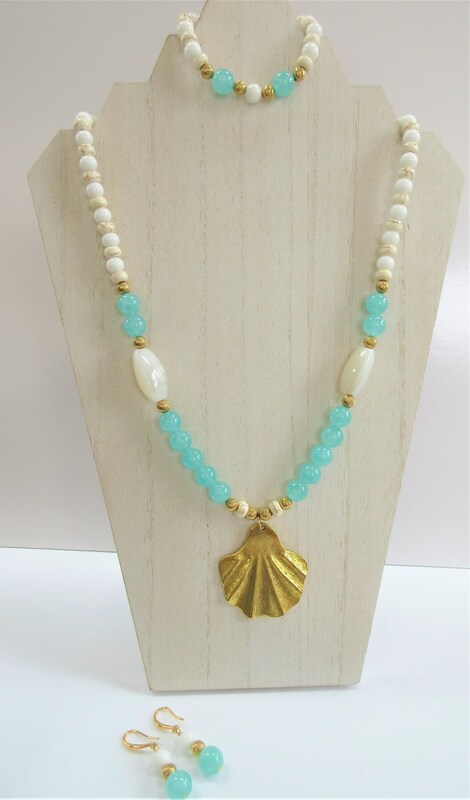 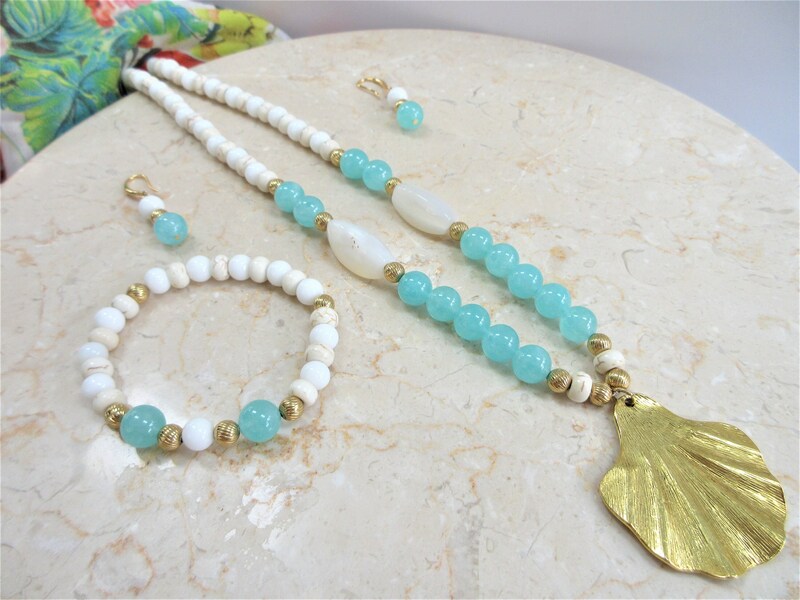 Beach jewelry set aqua stone beads,2 large white vintage quartz beads, vintage 14k gold beads, white glass ball beads,white small stone beads. 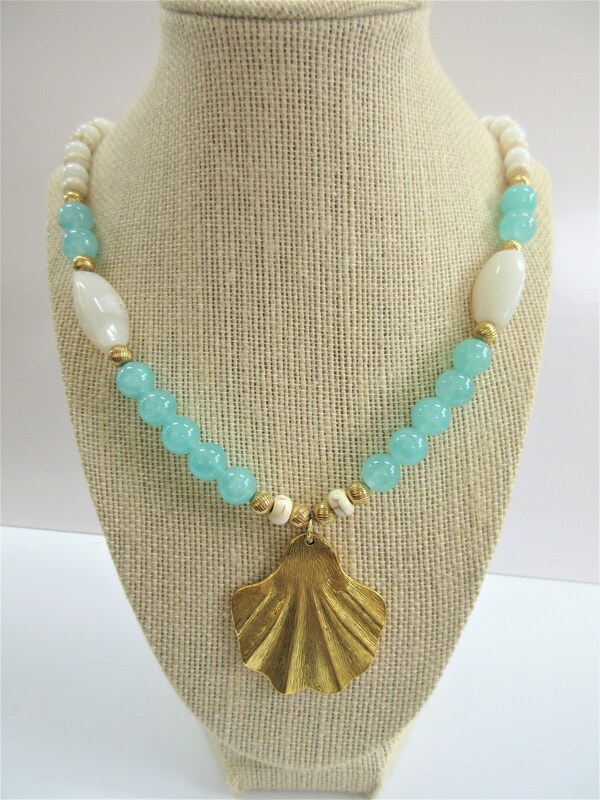 Textured gold shell shaped pendant, gold double hook and ring closure. 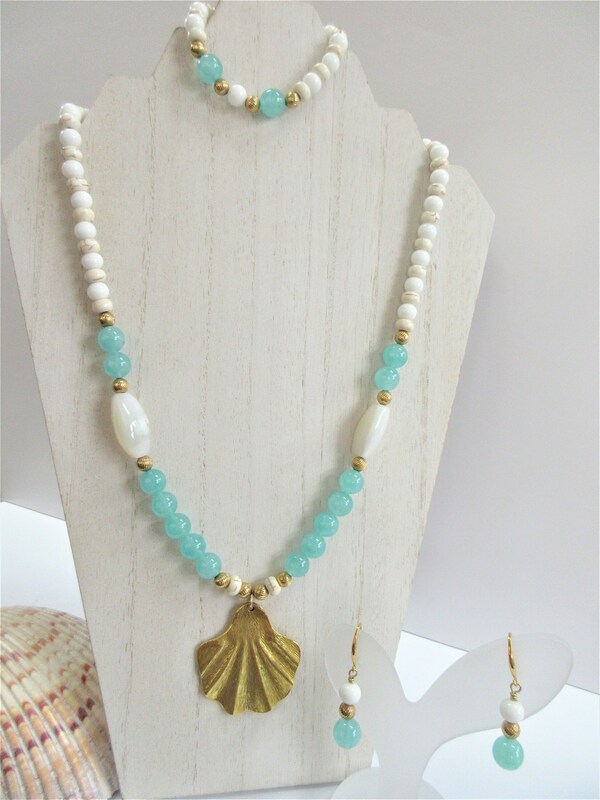 Ocean suite, hand made. 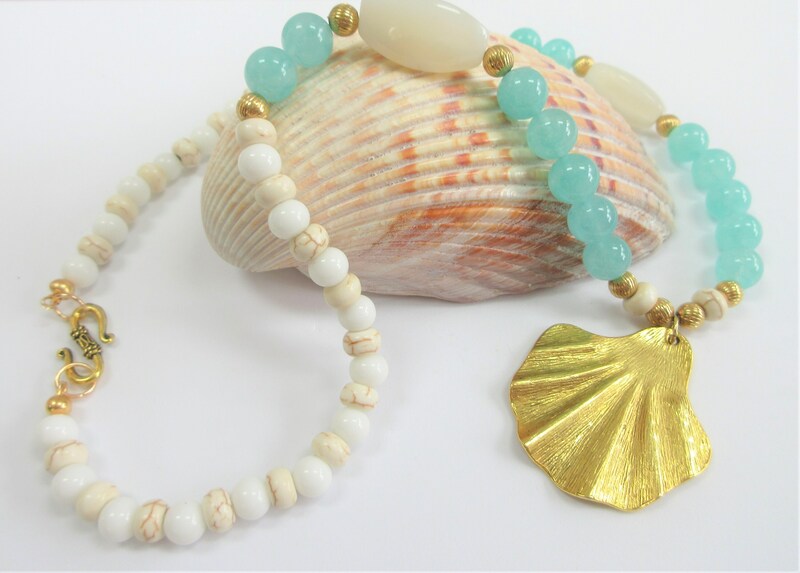 Variegation's should be expected in natural stones.